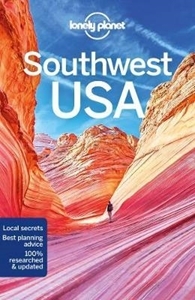 Lonely Planet Southwest USA is your passport to the most relevant, up-to-date advice on what to see and skip, and what hidden discoveries await you. Sup on a green chile sauce, explore the geological treasure of the Grand Canyon, visit the Old West towns that lured gold and copper prospectors, or enjoy the flashy pleasures of Las Vegas; all with your trusted travel companion. Get to the heart of Southwest USA and begin your journey now!